Leslie Falks was appointed to the DEMCO Board of Directors in 1987 and has received his Director Certificate from the National Rural Electric Cooperative Association (NRECA). He serves on the Purchasing Committee and the Manager’s Evaluation Committee. Falks serves as alternate to the Power Supply Committee. Falks also serves as a member of the DEMCO Foundation Board of Directors, the Dixie Business Center Board of Directors, and is DEMCO's representative to the Southwest Power Resources Association (SPRA) Board of Directors. 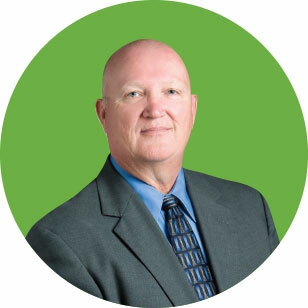 He is also a member of the Board of Managers for DEMCO Energy Services. He also serves on the ALEC Board and is a former President of that board. Falks is a lifelong resident of Livingston Parish and a local business owner. District 7 is located south of St. Helena Parish, east of East Baton Rouge Parish, west of Louisiana Highway 447 and north of Louisiana Highway 16.